People who vape CBD oil are intelligent because they're more aware of their health and well being. Most people have no awareness of what they're putting into their body, especially when it comes to pain relief. They'll shove anything down their throat with the hope of feeling better. The doctor says, “Take all these pills every day, then come back for more,” and most people run the pharmacy without doing a lick of research. From conversing with fellow CBD users, I find them to be more health conscious. If you are a CBD user or you're planning to be, kudos to you for taking your health into your own hands! It's no easy feat and it's a respectable quality. Picking the best CBD oil can be confusing. Who do you trust in a world where everyone claims to be the best. I've never seen a company say, “We're the 7th best producer in the whole marketplace! Buy from us!” Nope, everyone is the best. We're becoming immune to such messages due to the constant bombardment of advertisements. Some experts estimate that we see on average, 5,000 marketing messages per day (1). That makes it really hard to cut through the crap, so we either become resistant or wear down and just buy anything. That's where sites like ours comes in handy. We cut through the crap and give it to you straight. Are you ready for it? 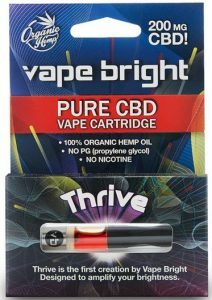 As of right now, and this can change, the best cartridge on the market is Vape Bright's Pure CBD Thrive cartridge. We picked this cartridge based on the quality of the oil. The quality was assessed by several factors, mainly the purity, potency, and whether it was organic or non-organic. We also considered how much bang for your buck you're getting, the ease of use, and the nature of the company. When you first go to their website, you might be thinking a lot of different things. Their website is interesting looking, but I can't say that I love how it looks. Going from reading red and white text on a black background, to white text on a red button, to gray and blue text on a black background, to black and red text on a white background can be a little nauseating. Good thing their CBD oil can help with the nausea. Their website makes me say, eh. I don't love it and I don't hate it. However, there is a stunningly beautiful woman staring back at me when I get halfway down the home page. I always seem to spend a little more time on that section of their homepage. Hey, I'm only human! But to be honest, I'm totally comfortable when ordering from a company that doesn't have a state of the art website. Sometimes I even prefer it. I know for certain that they haven't been in business for years because of their amazing branding. I like to pick up on little things like that when deciding who to buy from. Now that we've gotten that out of the way, let's get into the good stuff. When deciding on which product gets the honor of being inhaled into your precious lungs, it's important to asses the purity. Your lungs are massively important and play a major role in delivering oxygen throughout your whole body. A company should feel grateful that you've given them the honor of using their product in such an important organ. Vape Bright respects that honor by not adding any extra crap into their CBD oil cartridges. When you vape the Thrive cartridge, you're getting pure CBD. As if pure CBD wasn't enough, Vape Bright went above and decided to keep it organic, the way nature intended it to be. Yes, their CBD oil is pure and orgasmic organic. Other companies like to sneak in some chemical additives to enhance the flavor profile and produce chemical ridden CBD oil. I'm not a big fan of the artificial flavorings or non-organic CBD oil. It dilutes the CBD and delivers unwanted chemicals to my lungs. I'm not vaping CBD to get chemicals and a cool flavor experience, I'm vaping it to get health and to feel better. I wan't my CBD oil to be pure and potent, which is exactly what the Thrive delivers. It doesn't matter how pure your CBD is if it's not strong enough to get the job done. Purity and potency are equally important. I wouldn't buy a cartridge if it didn't meet my standards for both categories. 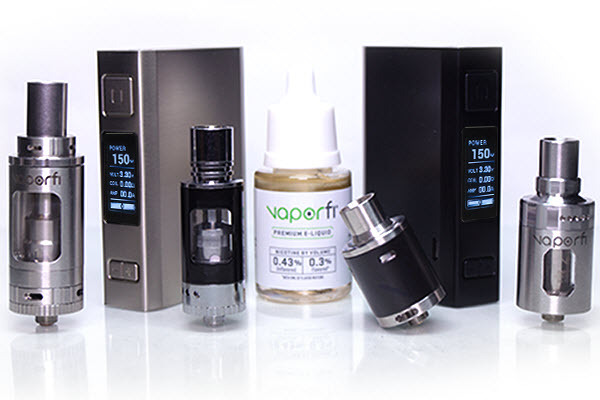 Would you rather have a vape that had all kinds of impurities in it but was really potent? Or would you rather have one that was perfectly pure, but not potent enough to get the job done? I'd rather have neither. Impurities can be very dangerous. Heavy metals and e coli are not something I want to take into my lungs. And if it's not strong enough, what's the point. To almost state it bluntly, the Thrive cartridge is strong as ______ (insert your favorite expression in the blank)! Seriously though, it has 200mg of CBD., which is a lot more than any other cartridge. The Thrive is packed with CBD because of its purity. Without fillers and artificial flavors, you're left with nothing but high-quality CBD oil. Using the Thrive cartridge is as easy as breathing through a straw. All you have to do is charge the battery, twist on the cartridge, and take a draw. That's it. You don't have to press any buttons or adjust any settings. Each inhalation will deliver around 1mg to your body. That's freaking awesome! Of course, that number will vary slightly depending on how hard you pound the cartridge. The harder and longer you pull, the more CBD you will get per inhale. I like to take a nice and smooth draw, then hold it in. I keep my draws pretty short and sweet. After all, I'm not competing to prove how much vapor I can hold in my lungs. It may just be my preference, but I like to think it gives my lungs more time to absorb the good stuff. Who knows. Getting 1mg per draw is incredibly convenient. With other forms of CBD, you can't always modify the dose easily and it can be hard to get the right amount. Also, other forms of CBD take longer for the effect to kick in, which makes it easy to have too much, essentially wasting your money. With vaping, the effect is almost instantaneous. This allows you to find the perfect dose with pinpoint accuracy. It's one of the major advantages to using the cartridges. The price is right, that's for sure. One 200mg cartridge will only run you $50. That averages out to be 25¢/mg. That's damn good! I'm not going to throw any company under the bus, but I've seen other companies charge up to $1.43/mg for CBD cartridges that have artificial flavors, fillers, and non-organic oil. That's outrageous! They get away with it because they are branded very nicely. People will buy based on their fancy websites and deluxe-looking packaging. But once customers snap out of the spell cast on them by the marketing team, they quickly run the other direction. That's why I can appreciate Vape Bright so much. They're doing everything right and producing a top notch product. Their price is fair even though they're in an industry where many companies are milking customers for a lot more. If you want to save money on cartridges, you can buy the 5-pack. It comes out to only 22.5¢/mg, which will save you $25. If you buy the 5-pack, and use the 10% off coupon code CBDVAPELIFE, you'll save a total of $47.50! The coupon code can be used for any item and is good for one use, so use it wisely. The Thrive CBD cartridge definitely gets our seal of approval. It's a quality product, made by a team of people who love their customers and product. 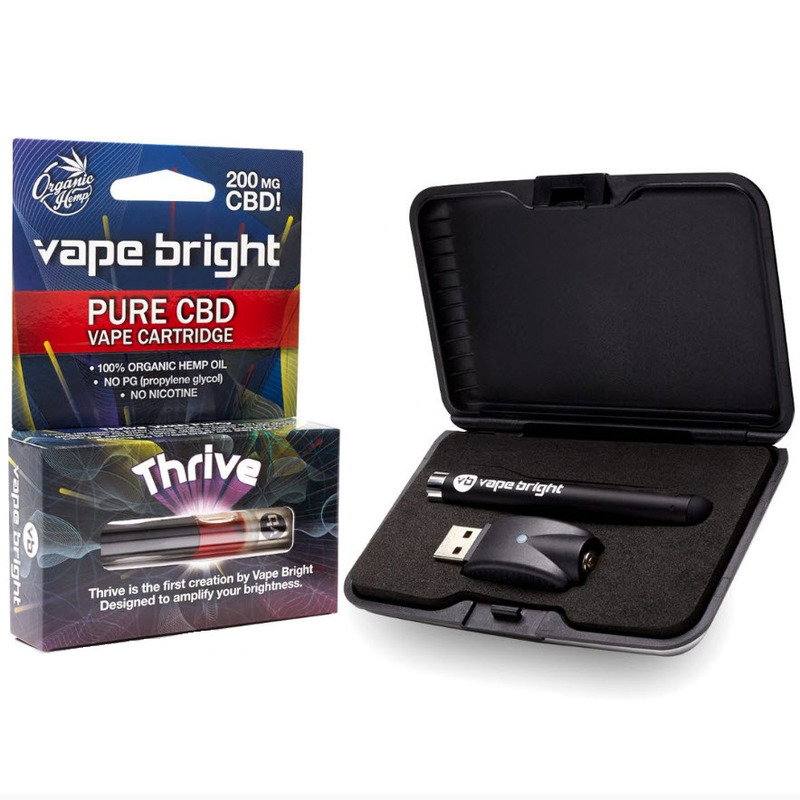 Vape Bright specializes in CBD oil, and they don't sell any other products. This gives them the advantage over other companies that try to be a one stop shop for every kind of product known to man. 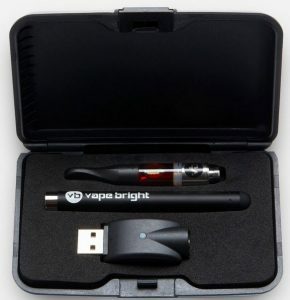 The quality that comes from specialty shops like Vape Bright is unrivaled. Their CBD oil is organic and doesn't contain any fillers or artificial flavors, which is what makes it so potent. When a company produces a product like that, it would be silly for me not to buy it. If you don't have a battery, make sure you add it in the cart or buy the starter kit with your purchase. Click here to get your organic CBD cartridge while they're in stock. 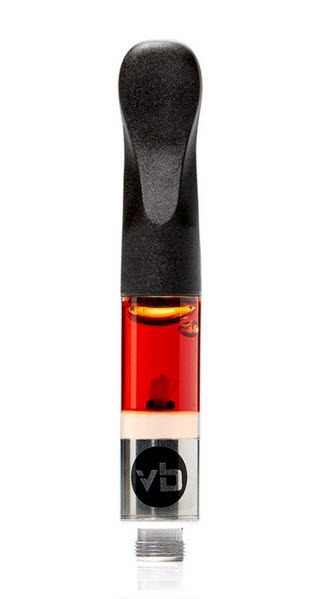 Vaping CBD is a great alternative to smoking or vaping THC oil. They both have their benefits, but CBD won't knock you off your rocker. You should be able to go about your day just like you normally do, or even better. My point is, you will not be limited by vaping CBD like you would with THC, and you might be able to do more things because you feel better. When under the influence of THC, you shouldn't drive, even though I know way too many people who do. It's not safe and every time someone drives high, their giving the media a chance to tarnish the already beat up image of marijuana. We're trying to win the war on drugs so don't f*** it up! You also shouldn't operate heavy machinery or do any such task under the influence of THC. CBD is a lot different. Always give yourself a day or two to see how your body reacts to the cartridge before doing anything important. You won't get high from vaping the cartridge, but it just a good practice to test things out before putting your life on the line. In most states, THC is still illegal. It's total BS, but we have to abide by the law until we change it. The good news is, CBD is legal in all 50 states. The legality issue alone makes CBD so much more convenient. You have a lot less to worry about with CBD. There's no risk of your kids having to see you get hauled off in the back of a cop car when you're only using CBD. Thoughts like that used to keep me up at night. It may sound stupid, but that's a realistic possibility given the current state of America.